Consultation Analysis attached, plus a link to the Final Report. 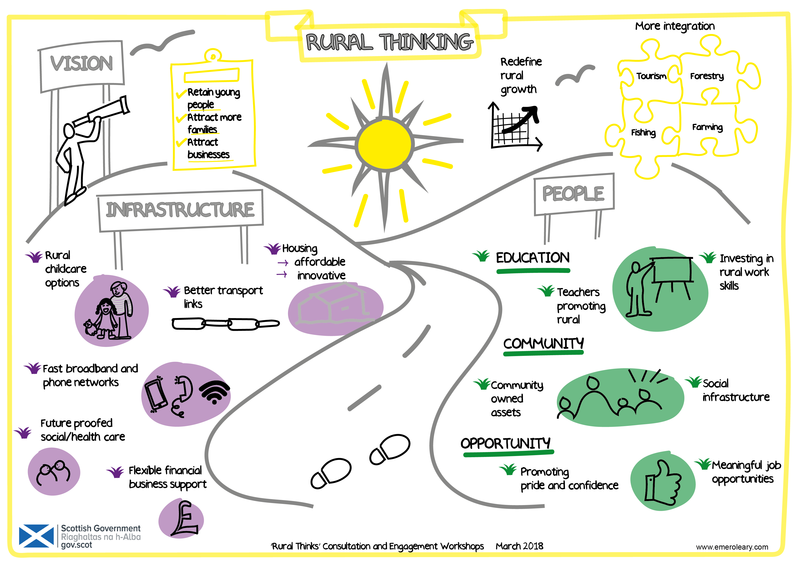 The National Council of Rural Advisers (NCRA) believes that with an appropriate and bespoke support framework, designed by rural Scotland, for rural Scotland, we can not only become even more sustainable but we can flourish. Our vision for a flourishing rural economy is one that offers the potential for growth and the creation of new opportunities, whilst always acknowledging that it is our people and natural assets that provide the foundation for a successful and vibrant rural economy, we must nurture and protect them. This consultation will ask the people of Scotland to help input, shape and develop a series of bold and ambitious recommendations for Scottish Government on the creation of that future. The National Council of Rural Advisers are consulting in order to explore the opportunities Scotland’s rural economy presents and the potential recommendations for the Scottish Government stemming from these. They would like everyone to be offered the opportunity to take part and co-create this future framework for rural Scotland. The National Council of Rural Advisers will create and publish a final Recommendations report based on the consultation feedback to the Scottish Government in autumn 2018.